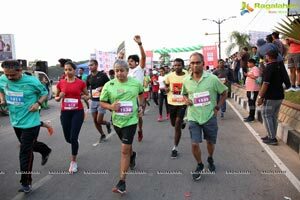 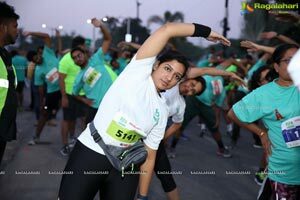 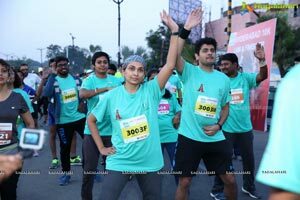 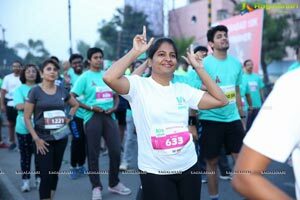 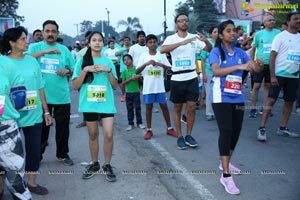 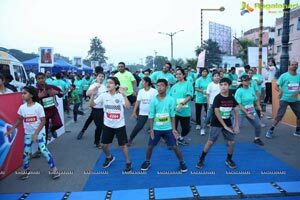 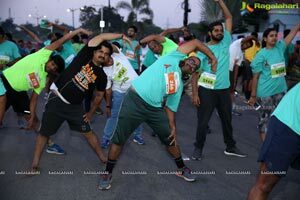 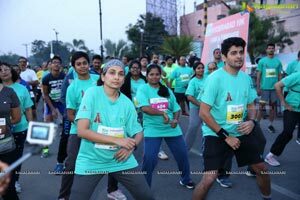 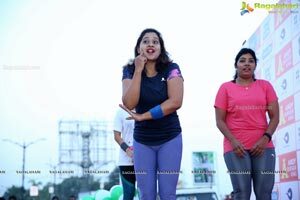 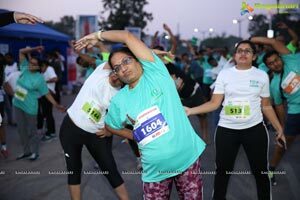 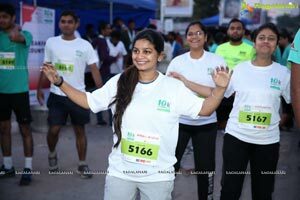 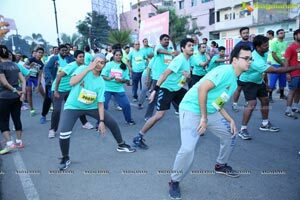 Hyderabad, 28th October 2018: One of India’s biggest running circuit, the 10K INTENCITY Run Hyderabad leg is held on Sunday, October 28, 2018. 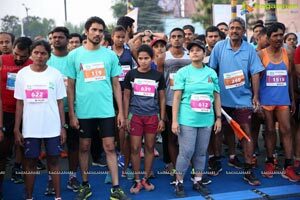 Mr. Musharraf Faruqui, IAS, GHMC Zonal Commissioner,P Shankar (Asian Medalist)flagged off the run. 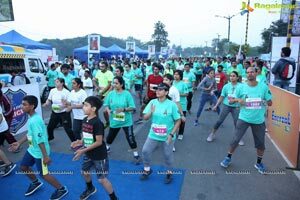 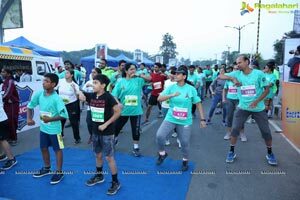 Held at the picturesque Hussain Sagar lake on Sunday morning amidst pleasant weather which helped runners of the 10 kilometre run to pace it up. 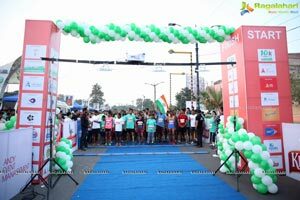 Supported by the Athletics Federation of India, the 10K INTENCITY run which covers 10 different cities has been gaining momentum. 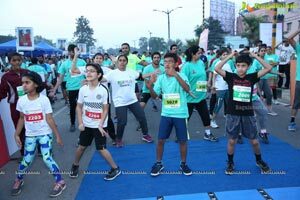 The run which has already been certified by the AIMS will have the runners participating in various categories starting with 10 km, 5 km and 2 km run. 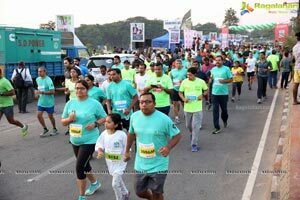 Every participant has given a sapling in order to promote a Green, Healthy India. 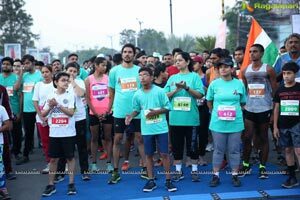 The 10K INTENCITY run will also serve one of the core ideologies of the initiative which is to give back to sportspersons of India. 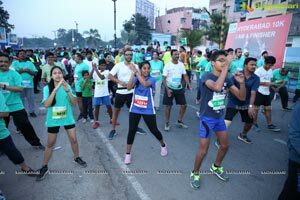 Through the support of the Olympians Association of India (An association of former Olympians), a part of the money generated will be disbursed to former and current Olympians along with aspiring sports persons so that money can be ploughed back in creating a sound infrastructure system which will not only inspire existing sportspersons but also create future Olympians of our country. 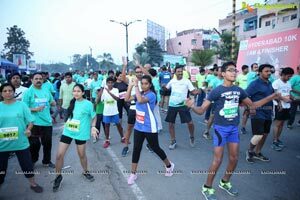 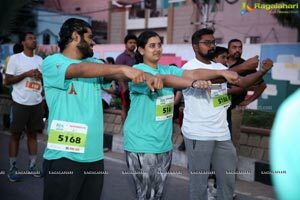 The 10K INTENCITY Run Hyderabad leg was supported by the Telangana Police, the Greater Hyderabad Municipal Corporation and Hyderabad Metropolitan Development Authority. 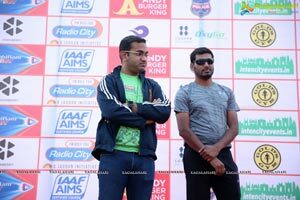 This event has received official recognition from the Athletics Federation of India. 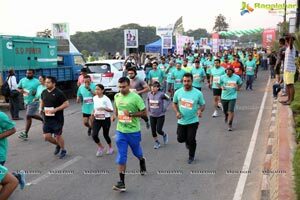 The 10KINTENCITY run which started from Pune and will now move to Banglore. 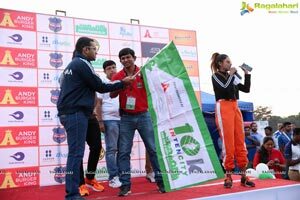 The winners for 10K INTENCITY Run received Rs 15,000, 10,000 and 5,000 as prize money. 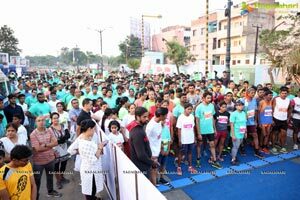 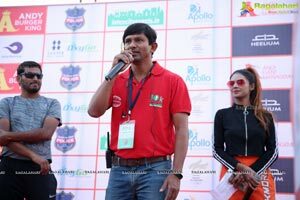 Speaking on the occasion, Mr. Anand Menezes, Ex-Olympian, Founder & Director, and Andy Event Management said, “We are extremely grateful for the support and enthusiasm shown by the citizens of Hyderabad who participated in the run. 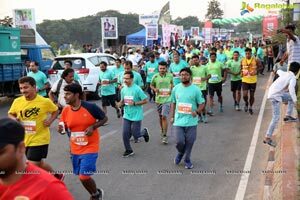 The Hyderabad 10K INTENCITY Run was a proof of the success of the concept of a circuit run which we have taken to different parts of India. 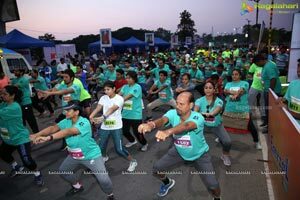 We are positive to build on the success of Hyderabad and will be moving to Banglore from here,” said Anand Menezes. 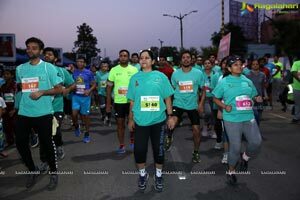 The total runners who participated across the three categories was over 300. 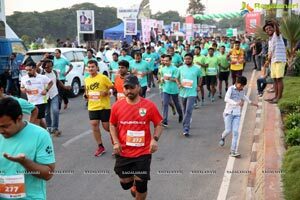 Organisers of the marathon Andy Event Management have spared no efforts in ensuring that the runners are well looked after during the course of the run. 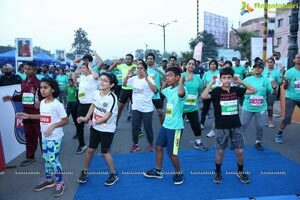 The 10-km stretch will have the runners start from the Peoples Plaza at 6:30 am and will run on Necklace Road before returning back to culminate the run at the starting point. 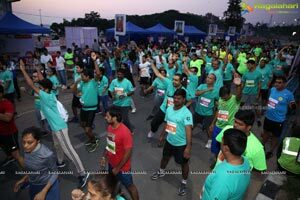 Whereas the 5-km will begin after finishing 10-km run and the 2-km run has begun at 6:40 am soon after 10-km run. 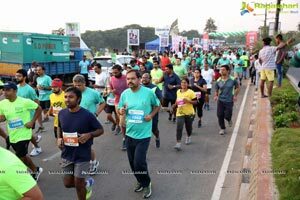 The entire route of 10-km will have four water points, two medical stations, markers at every km directing the runners along the route with Enerzal energy Junctions for runners to replenish themselves. 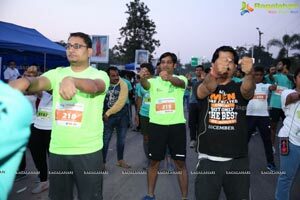 Results: 10K Men’s Winner – Shankar Thapa(1st 30:09 mins), Hari Singh (2nd 30:44 mins), Naveen (3rd 31:19 mins). 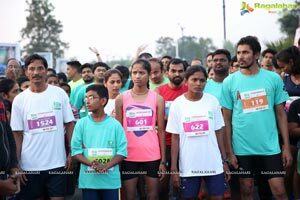 10K Women Winners: Yamini Umesh Thakre (1st 40:05 mins), Pooja Shridole (2nd 40:37 mins), Vadde Navya (3rd 43:39). 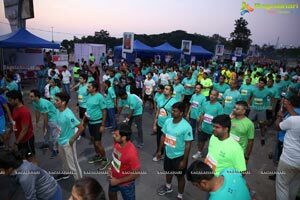 Andy Event Management Company is Sports Management company working with some of the biggest names in the world of sports. 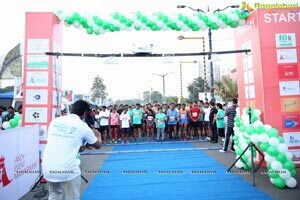 Company's aim is to help talented athletes achieve their athletic potential and to maximize their financial capability throughout their career. 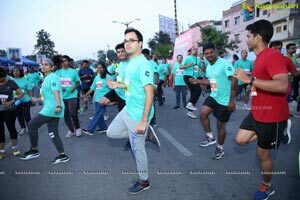 Trust, belief and passion are at the core of the company's business. 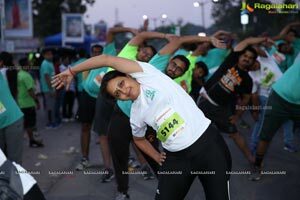 Professionalism dominates every aspect. 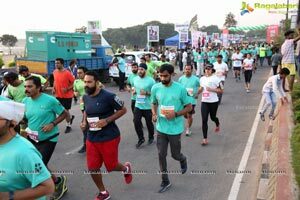 Comprehensive services have been developed where every aspect is covered in order to optimize athletes’ performance and develop their talent. 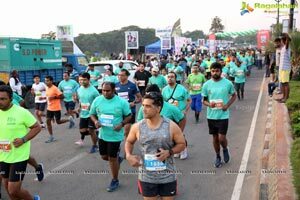 These services include competition planning and management, contract negotiations and servicing, marketing and promotion, merchandising and brand building, social media optimization, coaching, financial, legal, medical, travel, CISA and accommodation management. 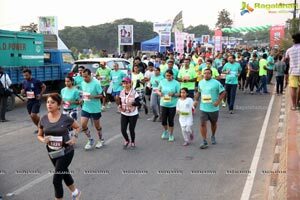 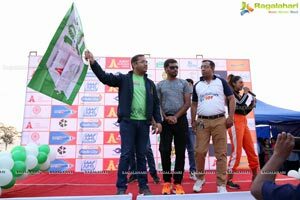 Andy Event Management has been involved in planning and organizing events like the Great India Run (Delhi To Mumbai run), Radio Mirchi Neon Runs. 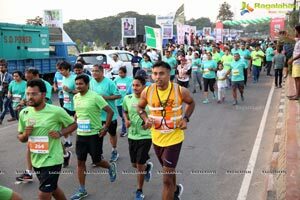 Anand has played an important role in organizing Vasai Virar Mayor Marathon, S.C. Mumbai International Marathon, Airtel Delhi Half Marathon, TCS World 10k, Tara Steel Kolkata Marathon.